Virginia’s portion of the Dan River starts near Meadows of Dan, traveling south through Patrick County in the Blue Ridge Highlands before crisscrossing the border between Virginia and North Carolina, then emptying into the Kerr Reservoir, also known as Buggs Island Lake. If you’re an outdoor enthusiast traveling through Southern Virginia or the Blue Ridge Highlands, the Dan River provides opportunities for fishing, canoeing, kayaking, and tubing. The river also has several parks along its banks with hiking and biking trails. In addition to outdoor activities, you’ll probably want to take a few breaks along the way to sample local flavors at restaurants, breweries, and wineries, as well as potentially staying overnight in the region. 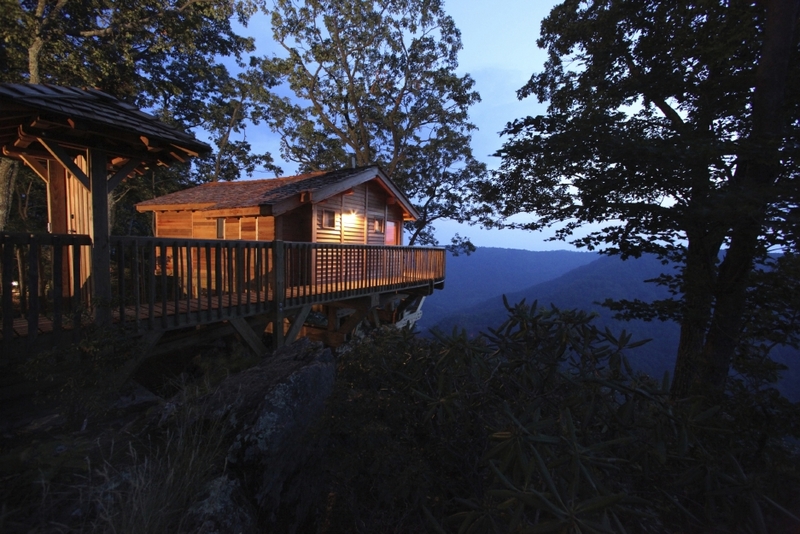 Use this comprehensive guide to plan your getaway along Virginia’s Dan River this summer. Three Rivers Outfitters—Ridgeway: Canoe and kayak rentals. About 15 miles from the Dan River. Danville Parks and Recreation—Danville: Canoe and kayak rentals available at the Abreu-Grogan boat ramp. Hours vary, so call ahead of time to ensure rental office is open. River Traders—Scottsburg: Pontoon, kayak, canoe, and fishing boat rentals. Guided river tours available upon request. Also sell bait and tackle supplies. Near the beginning of the Dan River, Rocky Knob Recreation Area contains miles of hiking trails suitable for every skill level, ranging from a pleasant one-mile hike through mature forests to an 11-mile hike along creeks and fields of wildflowers. 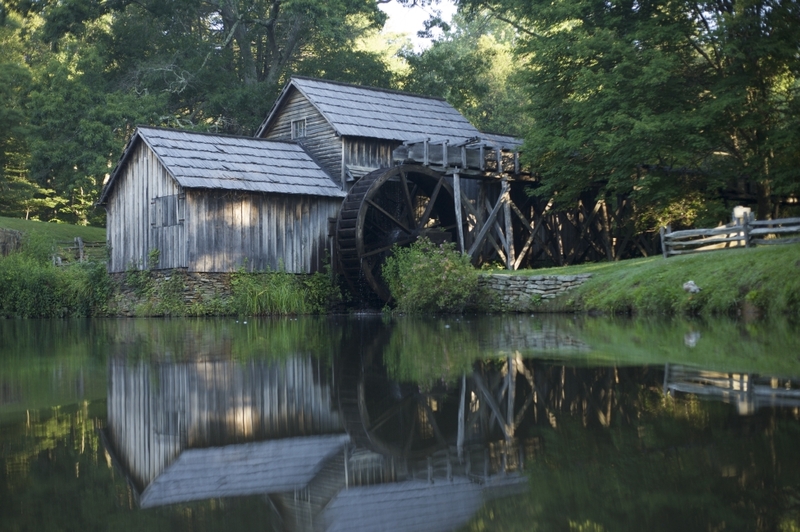 Next, stop at Mabry Mill off the picturesque Blue Ridge Parkway just northwest of Meadows of Dan to see a significant piece of Virginia’s storied history. The site is one of the most photographed destinations off the Blue Ridge Parkway and attracts hundreds of thousands of visitors each year. Originally a gristmill that was built around 1905, the mill still demonstrates skills from the time period such as weaving, apple butter making, and chair caning. For a little bit of pampering at the end of the day, book a stay at Primland Resort, a luxury 12,000 acre resort situated on the banks of the Dan River that has everything you could want in a relaxing overnight getaway, including a world-class spa, golf, fine dining. Looking for more outdoor excitement? The resort also offers ATV tours, horseback riding, and fly-fishing. If you’re traveling near Danville on the Dan River, check the schedule to catch a Danville Braves baseball game, the Rookie League affiliation for the Atlanta Braves. Sports fans should also consider making a pit stop at Virginia International Raceway, where you can watch a motorsports race or even get on the track yourself in the fastest go-karts on the market. Mountain bikers satisfy their need for speed at Anglers Ridge Mountain Bike Trails, one of the longest single track mountain bike trails in the region, which was voted as one of the best trails for the sport in the region. If a leisurely walk is more your speed, set out on Danville’s Riverwalk Trail, a 7.5 mile paved greenway that connects to Dan Daniel Memorial Park, Anglers Parks, and historic downtown Danville. Towards the end of the Dan River, South Boston is a charming town that exemplifies the practice of southern hospitality. One such example is the Berry Hill Mansion, a National Historic Landmark that dates to 1728. Today, the restored property doubles as a resort, combining history and tradition with luxurious modern comforts, like the treatments found at their Blackberry Spa. Finally, get even more outdoor fun at Staunton River State Park, which features an Olympic-sized pool with a 70-foot waterslide and a smaller log slide suitable for small children. Well-maintained trails encircle the park, and its location at the intersection of the Dan River and Buggs Island Lake make it the ideal place for a bevy of exciting watersports like fishing, boating, and swimming during your summer vacation. Talbott Dam—Meadows of Dan. Access ramp for hand-carried boats on the Talbott Reservoir, which is created by the Dan River. There is no access for boats below the dam on the Dan River. Permit needed to canoe or kayak. Townes Reservoir—Meadows of Dan. Access ramp for hand-carried boats. Permit needed to canoe or kayak. Abreu-Grogan Park—Danville. Ramp gives access to small motored angling boats traveling upstream, but three dams downstream prevent boaters from reaching next river access point downstream. Anglers Park Boating Access—Danville. Paved trailer ramp for public boat access. 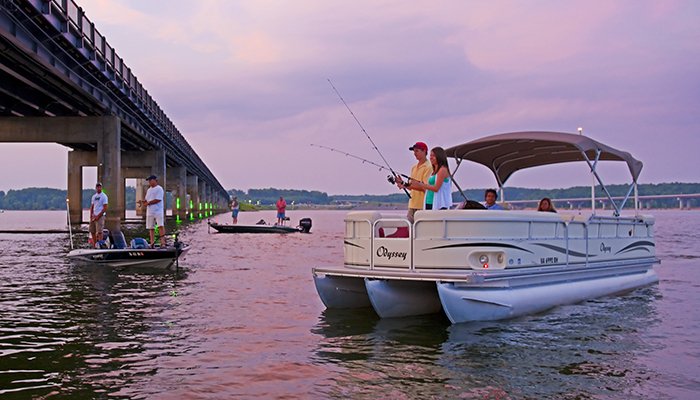 Jet motors recommended for motorized boats. Aaron’s Creek—Buffalo Junction. Maintained by the U.S. Corps of Engineers. 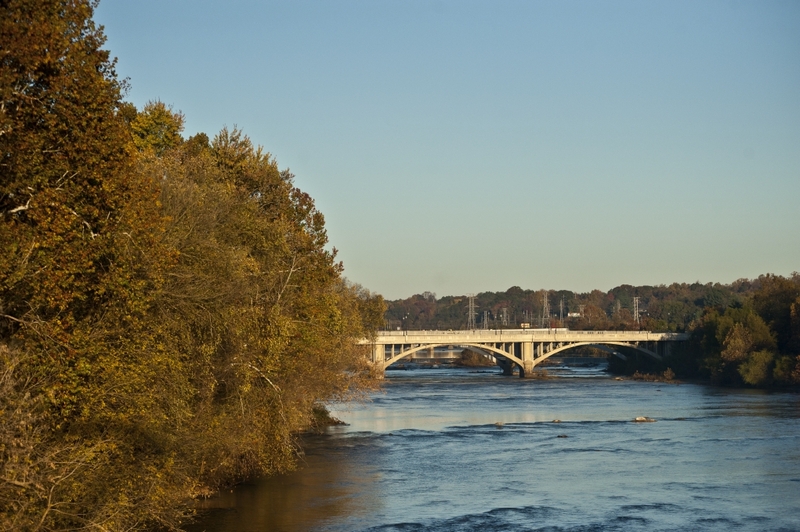 Follow the creek north to reach the Dan River before it merges with the Kerr Reservoir. Staunton River State Park—Scottsburg. Concrete ramp, boating, parking facilities. State park fees apply.